The main purpose of the fixed skylight is to take advantage of natural light. Natural light in homes increases the comfort of living and positively influences health. 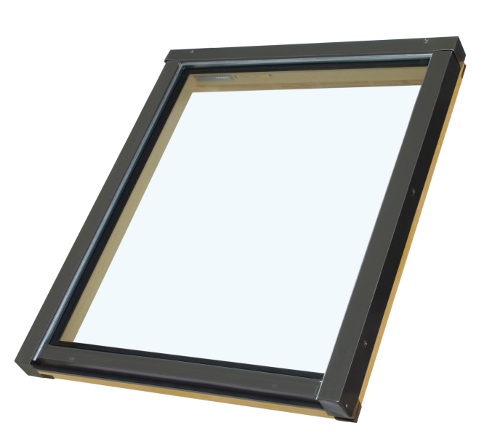 Low emission heat reflecting double glazing; available in tempered-tempered (Z3) or tempered-laminated (P1) versions. Beautiful, hand selected, vacuum treated, lacquered timber frames. Special perimeter gasket underneath the frame for increased insulation. Internal gasket system protects frame and drywall from condensation. Easy, “bracket free installation system”. UV resistant cladding coated for longer resistance with polyester. Suitable for roof pitches between 15-85°. Better sizing improves ability to install and finish drywall without additional support.